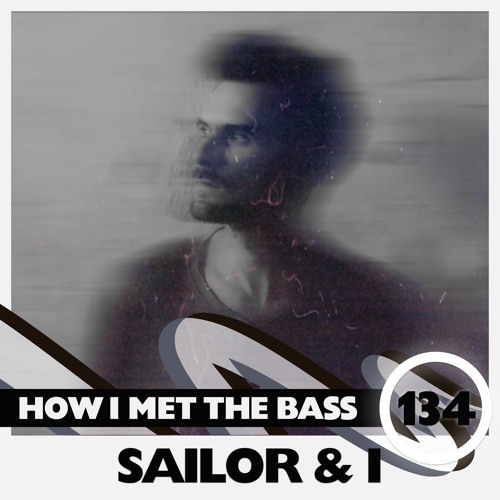 SAILOR & I on: - Facebook: www.facebook.com/sailorandi - SoundCloud: @sailorandi HOW I MET THE BASS on: - Facebook: www.facebook.com/howimetthebass - Twitter: www.twitter.com/howimetthebass - Mixcloud: www.mixcloud.com/HowIMetTheBass 3 QUESTIONS to SAILOR & I: Q: Give us an insight of your classics selection please. A: It was very difficult to decide what songs to pick for the this mix. I still feel there was so many songs that weren't able to be featured as the mix would be a week long, or so. What I did was basically to think of songs I wanted to hear that I didn't have on my laptop or that I haven't heard in a long time. So I went online and bought the first 20 songs I could think of that I loved. I thought about the mix as a story, how to start the story and then how it would end, then the selection made sense to me and I knew how to put the tracks together. Q: Singer, songwriter, producer live-act – what would describe you and your music best and how did you met the Bass? A: Musician. I grew up in a family where no one listened to music. But once, I heard an orchestra performing on television I instantly new that this is what I’m going to do for the rest of my life. I was lucky to have parents that supported my passion, even though they weren’t able to share that passion with me, I could see that they understood the impact music had on me and the were fascinated with what music did to me . When I was about 11-12 years old I already hade a huge drum kit, bass guitar, electric guitar and different amplifiers in my boy room. These gears became an important place for me and my friends to discover and develop our passion for music. We played everything from Punk to Heavy Metal, Beatles, Led Zeppelin, Pink Floyd, Rage Against The Machine, you name it. This is what we did for a few years. Later on I started to play jazz and Afro-American music. Let’s say you want to learn the basics of Be-bop, then there is a lot of hours in front of you in terms of practicing scales, studying music theory, etcetera. Just to be able to be even close to practice this kind of music with other musicians. So I decided to spend the next 4-5 years dedicating my time playing Jazz standards, fusion and experimental music. Once I was out of College I was so fed up with all of this. In a school environment, where everyone is competing to be the better, faster, strongest musician playing a certain instrument, then it’s very easy to lose perspective on what you’re actually doing and why. Many of my friends ended up losing their passion for music and stopped playing. For me, I just lost the love for playing Jazz music. I still love the style, but I felt it was too infected and too much pressure to be a good guitarist, too many hours practicing scales, too few hours having fun playing with other musicians. [...] [due to text limit here on SoundCloud - please read the full answer on our Facebook page] Q: Which future projects are on the way? A: I have been working on two different albums last year, the follow up to my debut album “The Invention of Loneliness” and one neo-classical album for guitar and Chello, that I’m going to record in Hansa Studio in Berlin next month. Besides the production work for my albums I have a few collaborations in the making. I can’t tell so much about it at the moment but it will be official the coming weeks. This is a great one - thank you! Went Joy Division on us - bam!